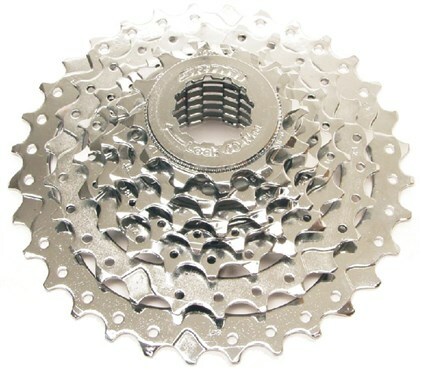 The SRAM PG730 7 speed cassette is ideal for those with 7-speed cycles and offers smooth, reliable shifting at great value for money. 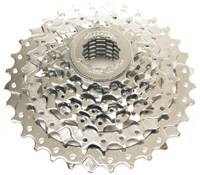 Had a worn-out 7 speed screw-on cassette with 12-32 teeth and well-worn wheel rims. Wanted to keep the ratios so bought the SRAM cassette (and a new Shimano hub rear wheel and a new chain). Needed the 4.5mm spacer ring to go with the cassette. Gears change very smoothly now and no adjustment to either derailleur mechanism was needed. As usual Tredz turnaround on the free delivery was very rapid. I need a replacement for my Specialized Hardrock and found the same part that had worn out. Great value for money and it's added a new lease of life to an old bike.